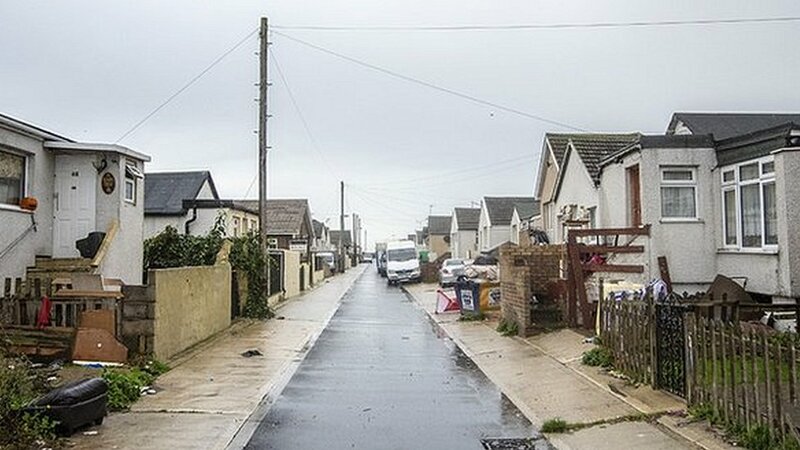 Named the most deprived neighbourhood in England in both 2010 and 2015, it’s fair to say that the Essex seaside village of Jaywick Sands is used to unwelcome publicity. But on Wednesday, rather improbably, Jaywick found itself in the position of becoming a visual representation of the issues seen as threatening the US economy. 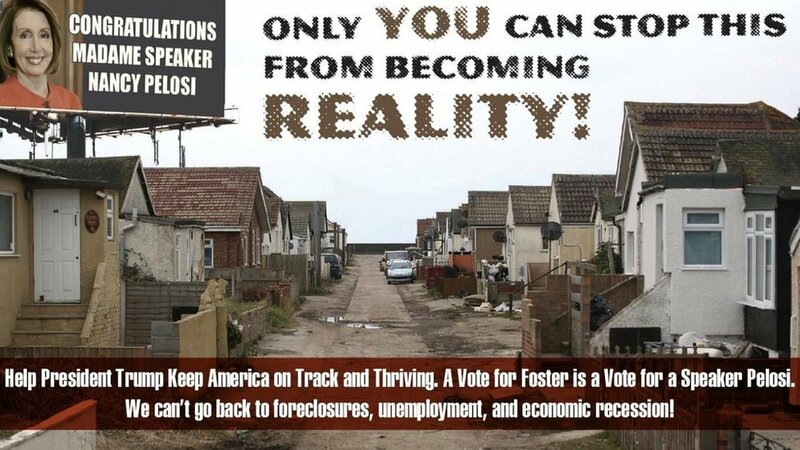 An edited image of one of its streets was used by Republican congressional candidate Nick Stella to attack his Democrat rival and to warn that a failure to support President Donald Trump could trigger “foreclosures, unemployment and economic recession”. 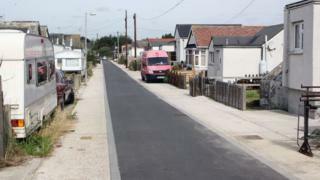 BBC News went to a windswept Jaywick to speak to residents about their latest brush with infamy. Driving through the village, you see the brick houses of the “posh end”, shops and amusement arcade give way to a sprawl of chalets. 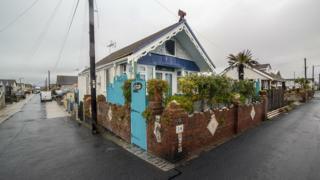 Their fenced front gardens are filled with plant pots, toys and, at the moment, the odd pumpkin. What were once meant to be holiday homes have become permanent residences due to a housing shortage following World War Two. Today, some 5,000 people call the former holiday resort home. On a cold November morning, the streets and the village car boot sale battered by the rain, the cut and thrust of US politics seem a world away. Yet it’s clear that the way their village was depicted in America is a far cry from how the people of Jaywick see their home. “If you experience hitting rock-bottom and having nothing, you respect having better things,” Shirley Blok says. “I love it here, I really do. I never want to have to move away. “To walk on the beach is purity. And what does she think of the congressional campaign advert? In Jaywick people are open and honest with each other, they talk about their struggles and no-one leaves another in trouble, residents tell me. 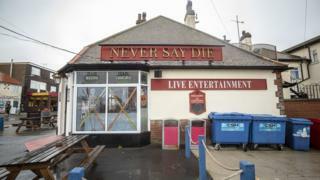 Perhaps fittingly, one of the three pubs in the village is called Never Say Die. Tim Carroll, 43, is one of the brave few trying to hold a car boot sale at the beach car park in the lashing wind and rain. 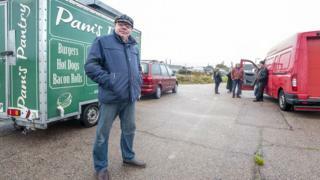 Mr Carroll, who moved to Jaywick from Gravesend in Kent 18 months ago, said of Dr Stella’s campaign advert: “It is yet another insult to the Jaywick people. “It doesn’t deserve the reputation it has. 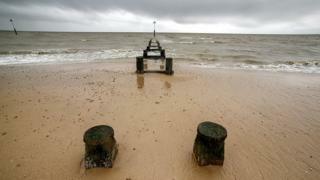 When you talk about the spirit of Jaywick, a name many mention is Boo’s. Down one of the little streets similar to the one thrust into prominence this week is Boo’s Community Cafe. This converted caravan, with a sign in the window that reads “Menu: Take it. Leave It”, is where locals come together for breakfast, lunch and even Christmas dinner. It is run by Lorraine “Boo” Vaughan, a smiley woman with her nickname tattooed on her neck. As she chats to me at the door of her home – while trying to keep the dog and cat inside – a neighbour comes over to ask for a cigarette and Boo duly obliges. “We are a big family and it comes straight from the heart,” she says. 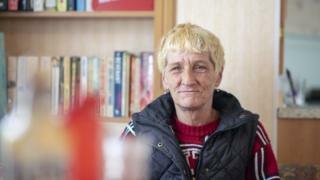 She started the eatery as she felt Jaywick needed a cafe outside of the high street. Boo’s is also home to a book exchange and in the back are clothes she gives to people as needed. “All I ask is that if they don’t fit they bring them back as someone else we need them. They will always fit a naked body I say,” she laughs. Boo is philosophical about the latest negative publicity for her village. “It is that which got the roads paved, because people could see how bad it was,” she says. She has a point: after Jaywick came bottom of the English deprivation index, money was found to make improvements, and the street used in the Republicans’ advert has been spruced up. And with the village now back in the limelight, it’s hoped some positives could again come out of it. 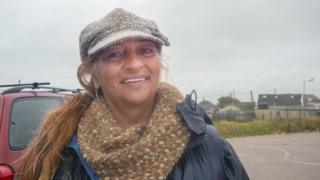 Penelope Read lives on the Jaywick side of Clacton but has spent a lot of time in the village, including when she made a film in response to previous publicity. 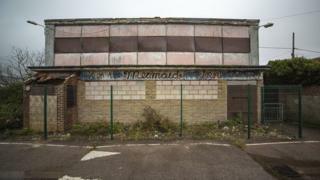 “Jaywick has its problems but it has spirit,” she says. Mrs Read takes me on a tour of the village, including its community centre and community garden.